Nestled in the foothills of the scenic Waterberg mountain range lies the popular inland tourism town of Bela Bela (previously called Warmbaths) in Limpopo Province. 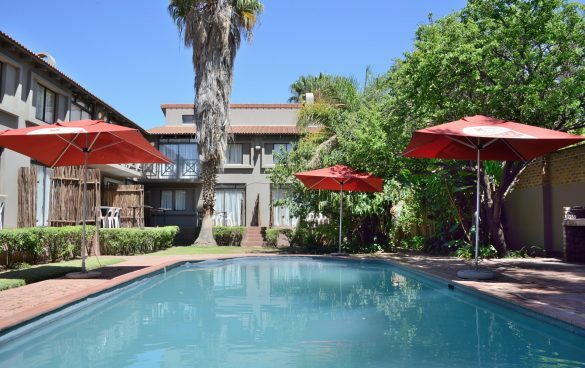 In this vibrant multi-cultural town is Elephant Springs Apartments, offering value-for-money accommodation in 20 comfy self-catering Apartments. The self-catering Apartments are suitable for large groups that want to gather, socialise and relax in this multi-cultural meeting pot. The establishment prides itself on its friendly, helpful staff. They help to enhance its character as an accessible and affordable location for corporate clients and travelling business people who use Bela Bela as a convenient base while working in the area. In addition, the next door hotel features a restaurant and ladies bar. The property derives its name from the fact that elephant carcasses were discovered in the grounds surrounding the hot springs. A time long ago, free-roaming elephants lived and flourished in the scenic area surrounding Bela Bela. The Apartments are within walking distance of shopping centres and flea markets. It is also directly opposite the city’s prime tourist spot – the hot springs at the Forever Resorts. Please note that guests check in at the Reception situated at the Hotel. The 3-star Elephant Springs Hotel offers 54 air conditioned rooms. For more information, please click here. The Elephant Springs has a range of amenities to ensure its guests have a comfortable, convenient stay. In addition, the complex offers various entertainment facilities including a Ladies Bar, restaurant and street-side deck with wooden benches and umbrellas where guests can enjoy meals and drinks. Other indoor entertainment facilities include a pool table in the bar area. 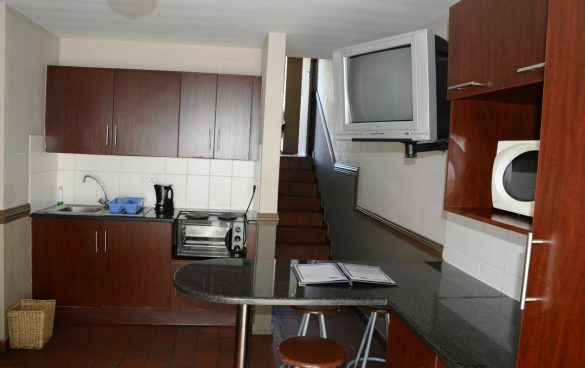 The Apartments has a swimming pool and shared braai facilities for the convenience of its guests. With three function venues and conference facilities for up to 250 delegates at the hotel, Elephant Springs is a reasonably priced option for conferences, corporate functions, launches and wedding receptions. For further information, view the individual WEDDINGS and CONFERENCING categories on the Home Page and choose Elephant Springs Hotel. All units have a first floor entrance, with 10 of the units offering direct pool access, while the balance presents a pool side balcony. Pool access for these units is on the side of the building. Each non-smoking unit sleeps six in three bedrooms with the main bedroom having an en-suite bathroom (toilet and shower combination). The compact open plan kitchenette is located at the end of a flight of stairs leading from the main entrance. The main bedroom is situated on the same level. The unit’s other two bedrooms each have two single beds and share the second bathroom on the first level (comprising bath, toilet and washbasin). These rooms are both at the end of a second flight of stairs leading off from the main entrance, with easy access to the shared bathroom. Located at 31 Sutter Road, Bela Bela, Limpopo. From Pretoria: Take the N1 north towards Polokwane. Take the R516 Bela Bela off ramp and turn left towards Bela Bela. At the robot, turn right, cross the bridge and cross the next robot. 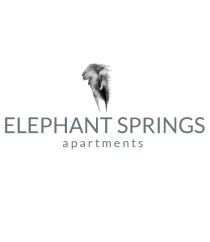 The Elephant Springs Apartments is in front of you. From Polokwane: Take the N1 south towards Gauteng. Take the R516 Bela Bela off ramp and turn right towards Bela Bela. At the robot, turn right, cross the bridge and cross the next robot. The Elephant Springs Apartments is in front of you. Guests staying at Elephant Springs Apartments can choose from a diverse range of activities in Bela Bela, Modimolle (formerly Nylstroom) and the surrounding areas of the Waterberg. 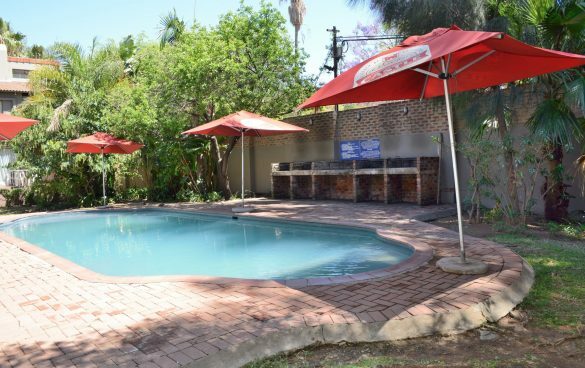 Elephants Springs is situated in the centre of Bela Bela, a bustling town with plenty of attractions including flea markets, restaurants, tea gardens and shops. Enjoy delicious homemade farm culinary fare such as ginger beer, lemonade, freshly baked cakes and bread and jams at the various farm stalls / coffee shops in and around Bela Bela. Visit historical Sites in Bela Bela and Modimolle. These include graves of Christina Pretorius (wife of Voortrekker Andries Pretorius), Strydom House, the Concentration camp and the British Block House erected to protect the railway line during the Anglo-Boer war. Several Health and Beauty Spas in and around Bela Bela and Modimolle offer wonderfully indulgent pampering spa experiences. The Hydro (at Forever Resorts in Bela Bela) is famous for its therapeutic hot mineral springs. These geothermal springs gush from the Earth at a rate of 22 000 litres of water per hour with a temperature of 52°C. Here guests can relax with specialised beauty treatments including full body massages, pedicures, manicures and hydrotherapy. Located next door to the Elephant Springs Hotel in Bela Bela is Hollywood Bets; South Africa’s premier betting brand, offering the public an upmarket ‘casino inspired’ environment where punters can bet in comfort and style, where they can enjoy quality food and a cold beer, and where attention to detail and top-class service is the order of the day. Apart from the activities mentioned below, outdoor and adventure enthusiasts can also enjoy cable water skiing, quad biking, zip lining, clay target shooting, 4×4 trails, boating, hot air ballooning and archery in the Waterberg area. Tee off for a game of golf at Koro Creek Golf Estate or visit one of the acclaimed signature golf courses designed by Ernie Els and Gary Player such as Zebula country club. Pack a picnic and visit Doorndraai Dam Nature Reserve at the foot of the scenic Waterberg Mountains approximately 90 minutes drive away.